"With sure-footed authority and lyric storytelling, William Broad delivers a stunning manifesto, a clear-eyed exploration of the ways we know that challenges the metaphysics of science itself. The Oracle illuminates, fascinates, and enlightens." "Broad combines a colorful, scientific detective story with an important and timely discussion of what science is and what it is not." "I foresee strong sales for The Oracle. William Broad takes us on an intellectual adventure that illuminates some of our deepest questions, turning a meditation on the ancient past into a penetrating look at science and spirituality in our future. A seductive read, it is a splendid example of how bridges can be erected between the sciences and the humanitites." 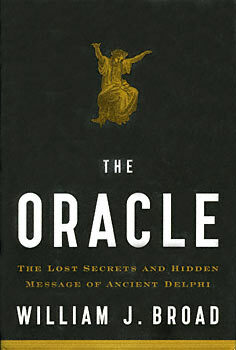 "I intended just to sample this book, but I found The Oracle so engrossing that I couldn't put it down. Bill Broad's seductive tale is provocatively told with verve and elegance."